A new novel by Peter Straub always merits a phone call to your bookseller to leave a reminder that you want a copy. This is necessary as, while Mr. Straub has had a long and productive career, a new novel is something that occurs only once every two and half years on the average. But a new edition of a Peter Straub classic is an event! 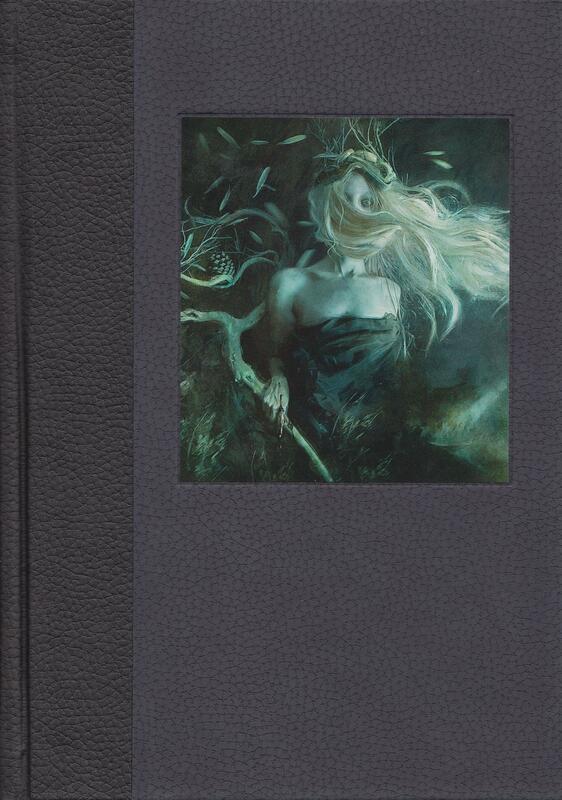 We are pleased to present Peter Straub’s Julia in a new, deluxe, slipcased, illustrated edition. Julia, from a historical standpoint, may be one of Straub’s most important novels, as it marked the turning point in his career from writing mainstream novels with Gothic overtones to writing Gothic novels that could be marketed as mainstream novels. This new edition of Julia features several full-page, full-color illustrations by Rodger Gerberding, a stunning front cover by Colombian artist Marcela Bolívar, a new introduction by T.M. Wright, and an interview with Peter Straub. The book is elegantly typeset in Requiem and is bound in distinctive European cloth, has a rounded back, top-edge stain, ribbon marker, and gorgeous marbled endsheets imported from France. Over 7 × 10 inches in size, front and rear cover image pastedown, two-color stamping on spine, and a stunning design. Each book is signed by Peter Straub, T.M. Wright, Rodger Gerberding, and Marcela Bolívar. Limited to 200 copies, each signed by Peter Straub, T.M. Wright, Rodger Gerberding, and Marcela Bolívar. Interview with Peter Straub by Darrell Schweitzer. Luxurious, 7 × 10 inch format. Marbled endsheets imported from France. Cloth in slipcase: $275 (on sale from $295).